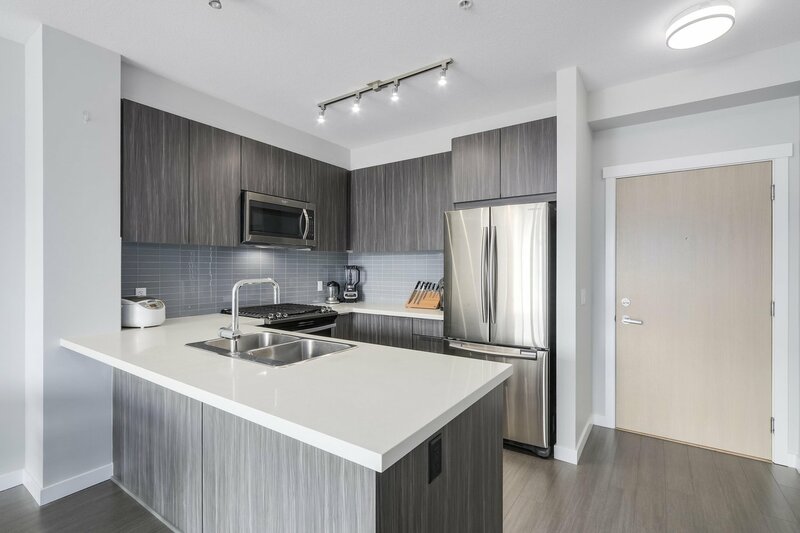 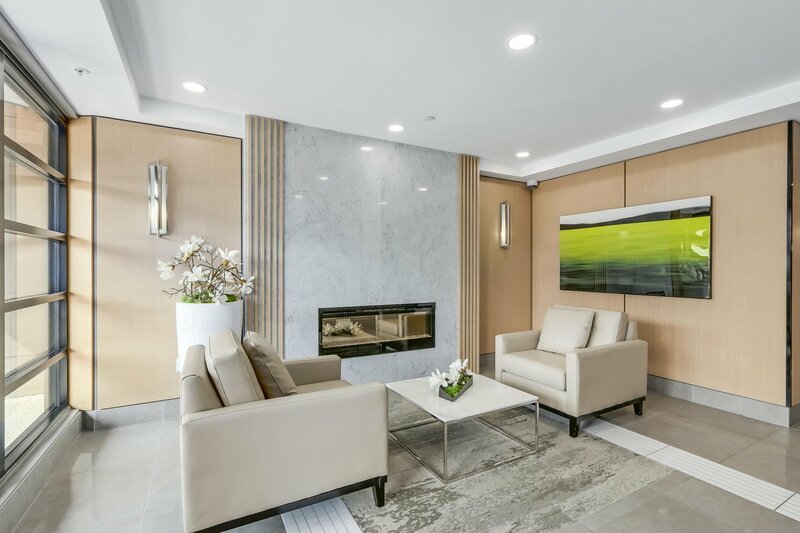 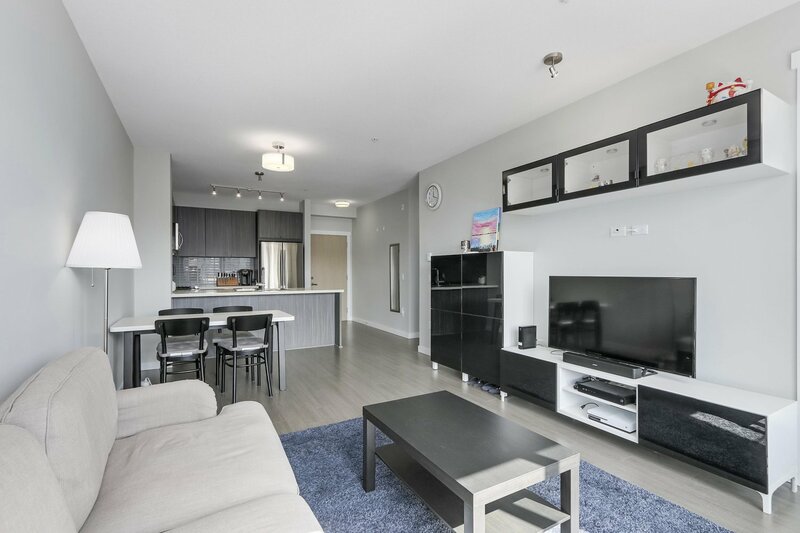 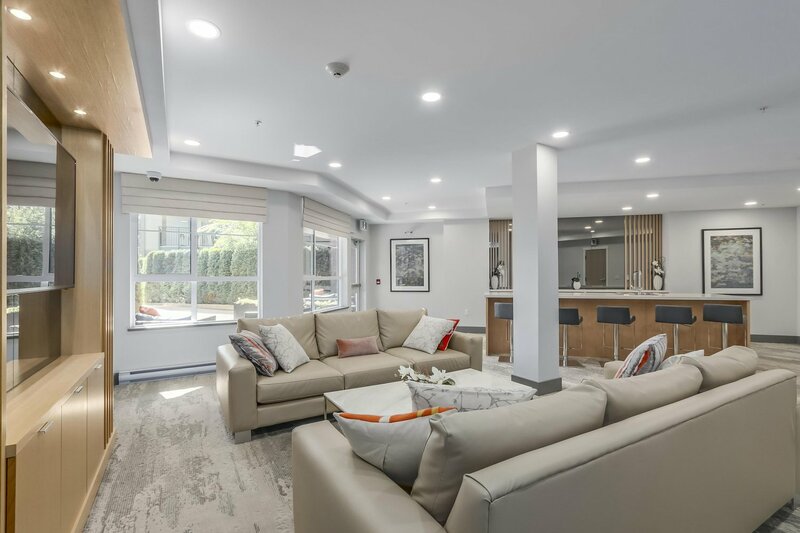 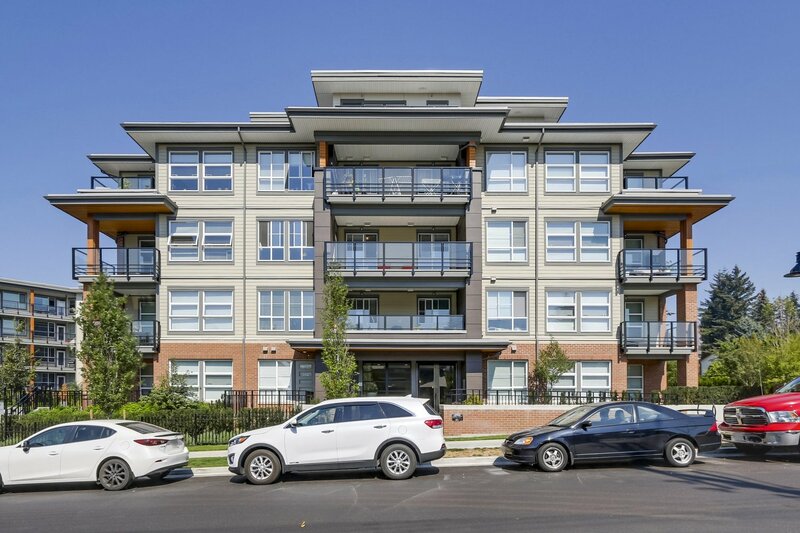 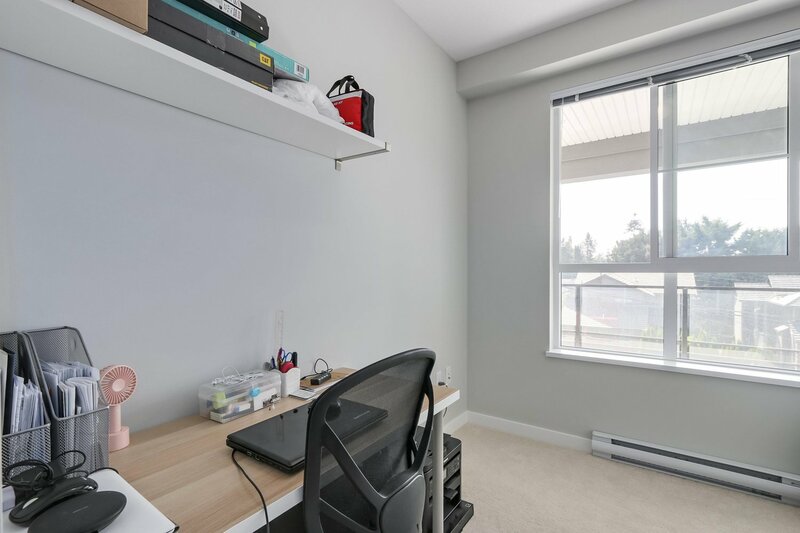 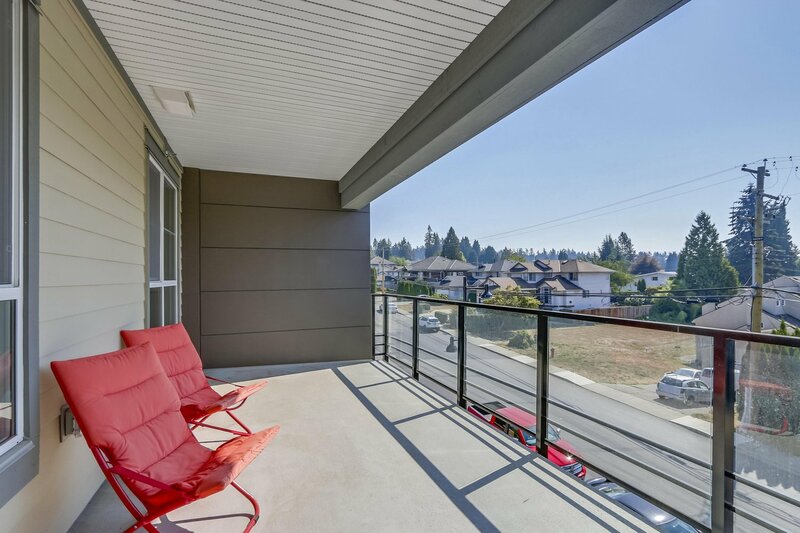 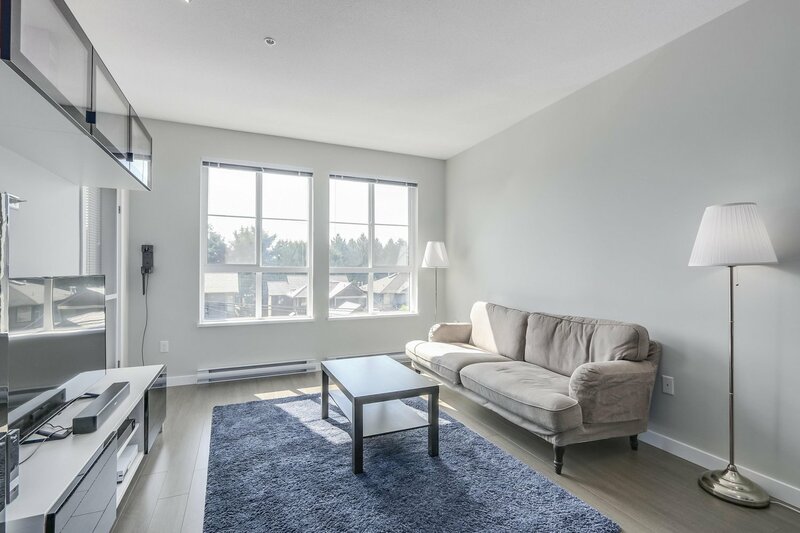 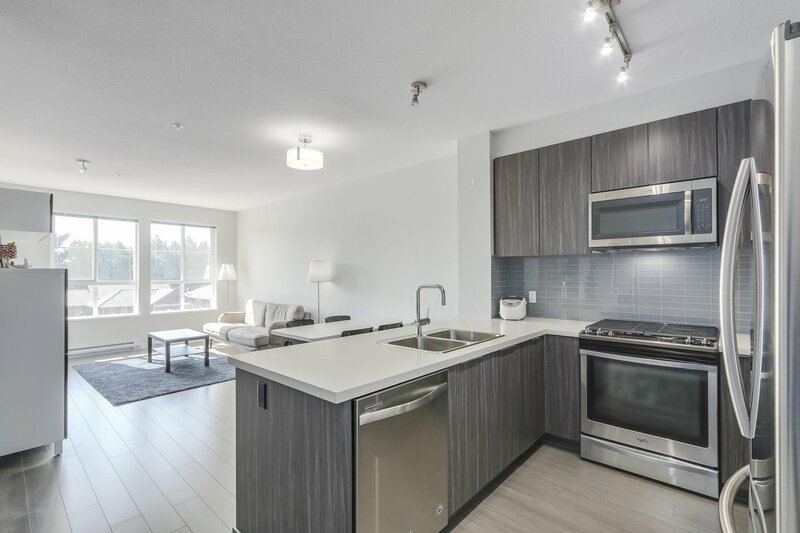 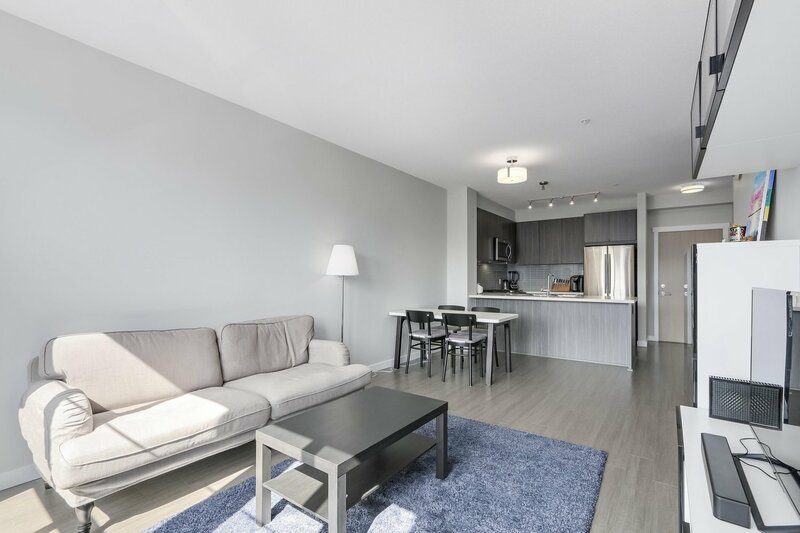 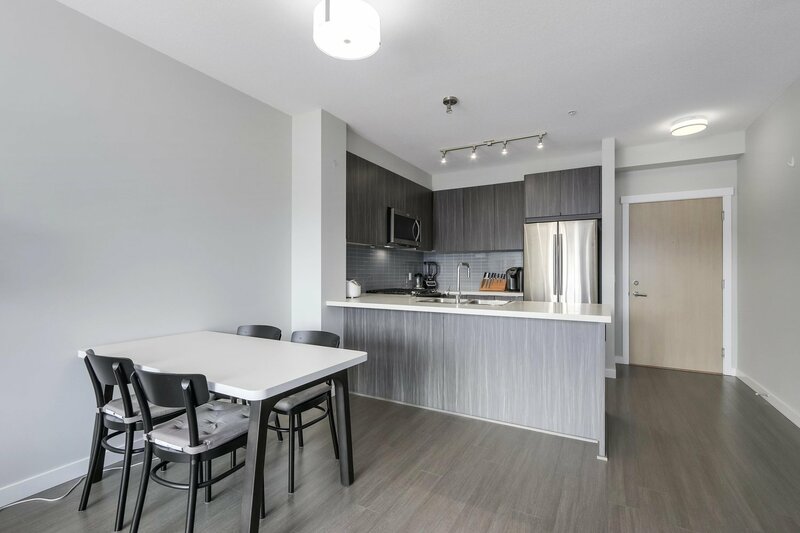 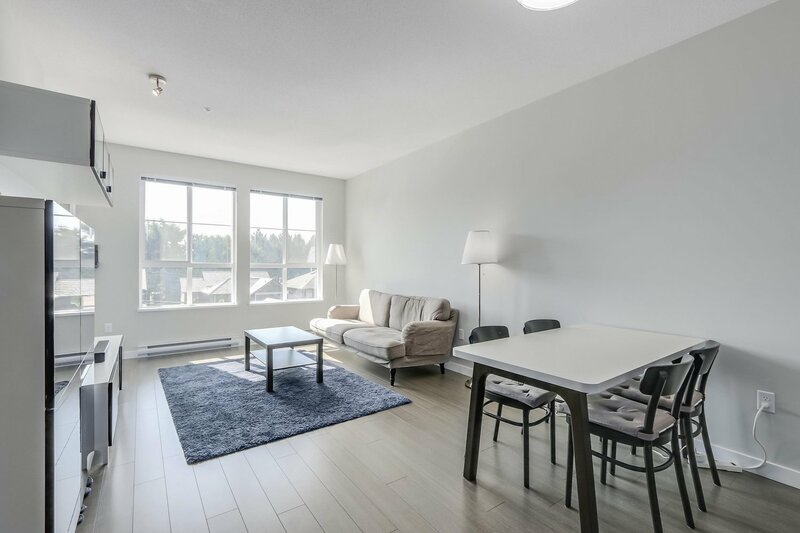 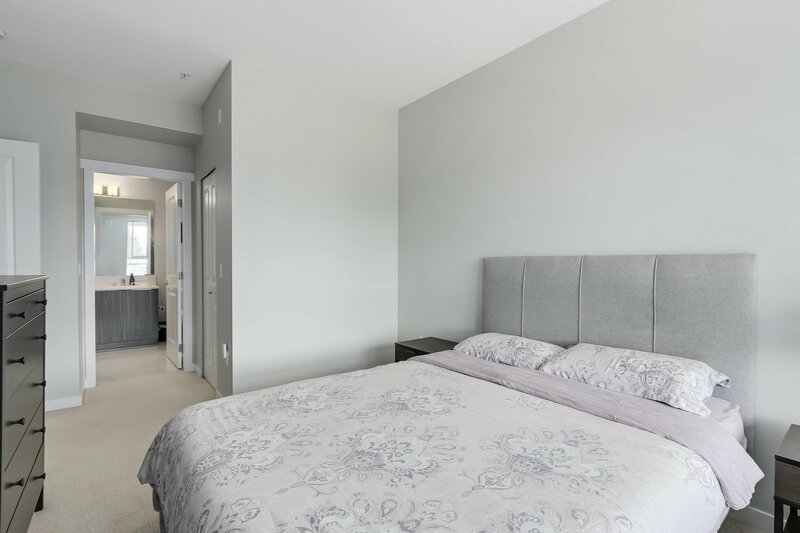 This gorgeous 2 bed, 2 bath home at Stanton House by Polygon is located in the growing neighbourhood of West Coquitlam. 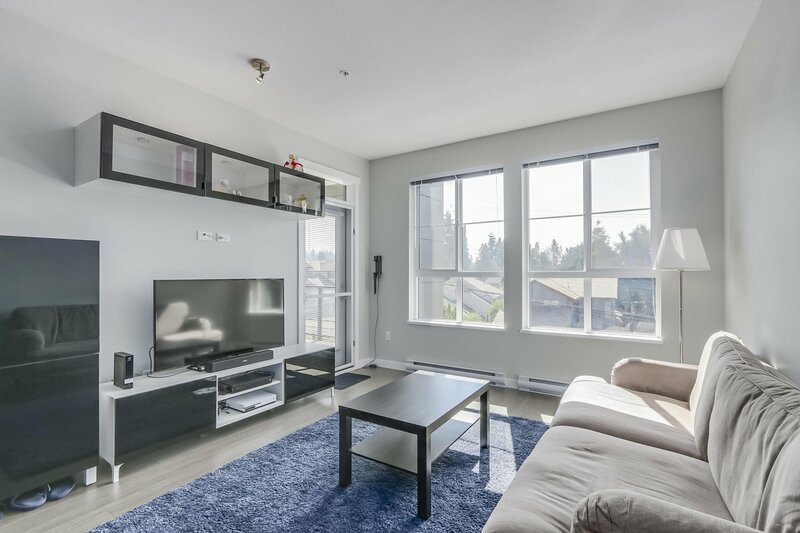 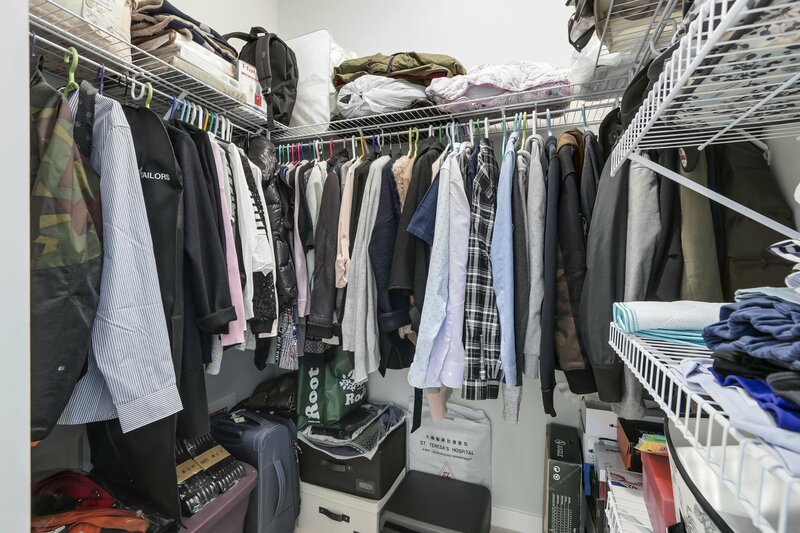 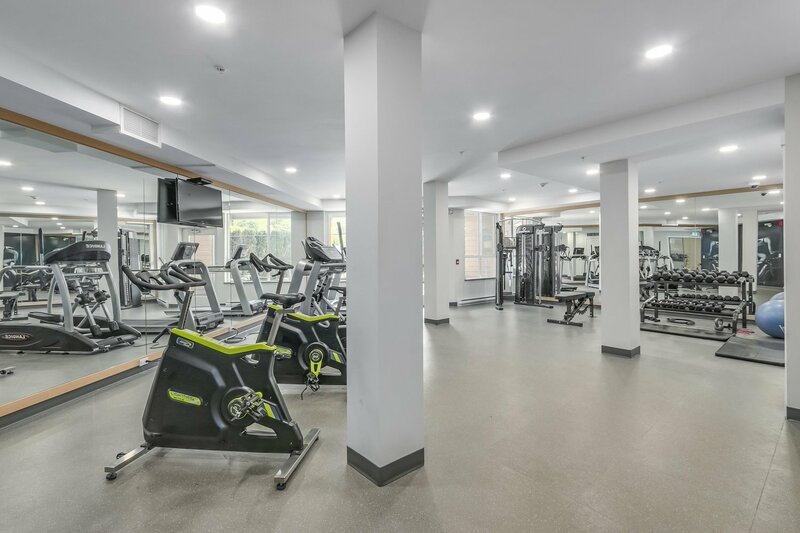 Living steps from the Burquitlam Sky Train Station, shopping, schools, and across the street from the soon-upgraded Cottonwood Park. 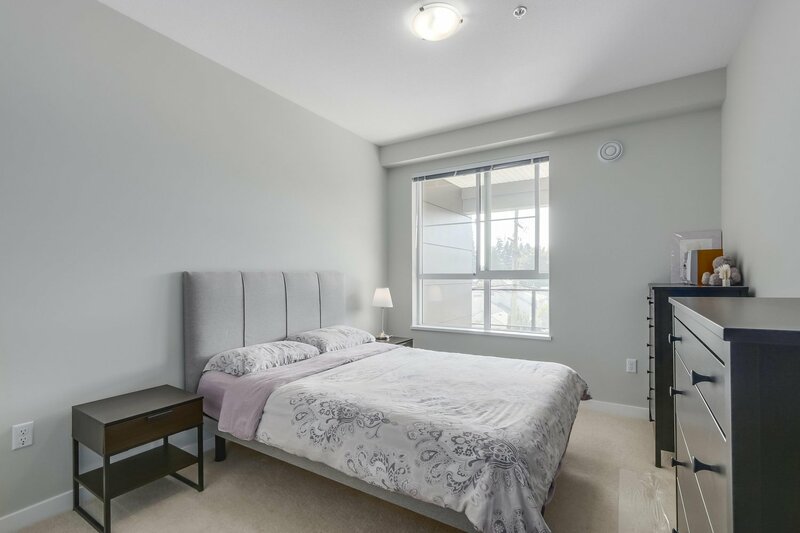 Live in comfort with 9' ceilings, rich laminate flooring, plush carpeting, and a spacious private balcony. 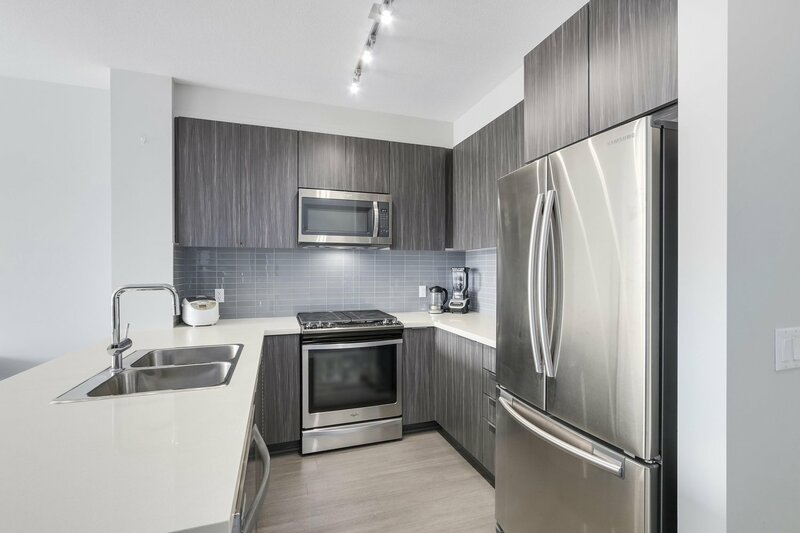 Cook in a kitchen complete breakfast bar, engineered stone countertops, and stainless steel appliances. 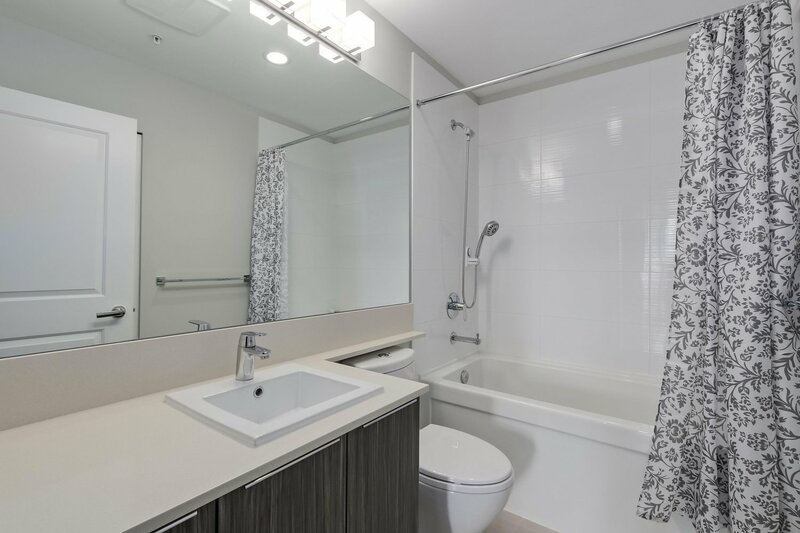 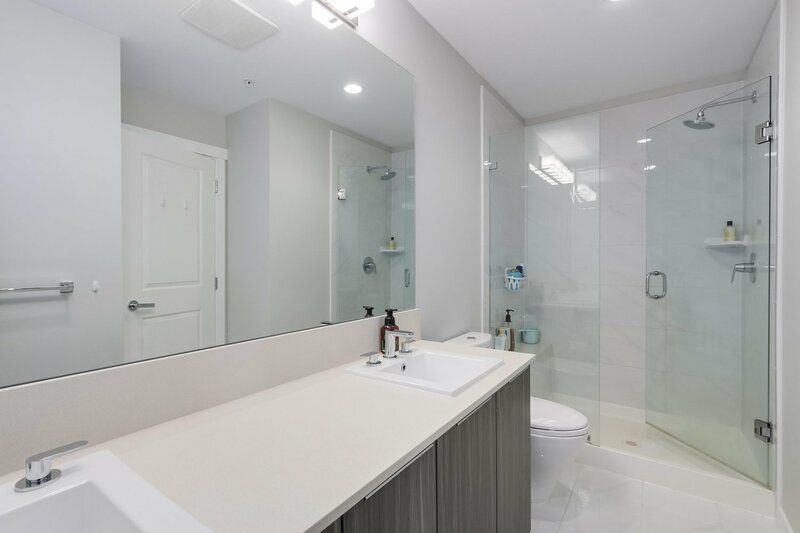 Luxuriate in an ensuite boasting oversized shower with bench seating, double sinks, and porcelain tile flooring. 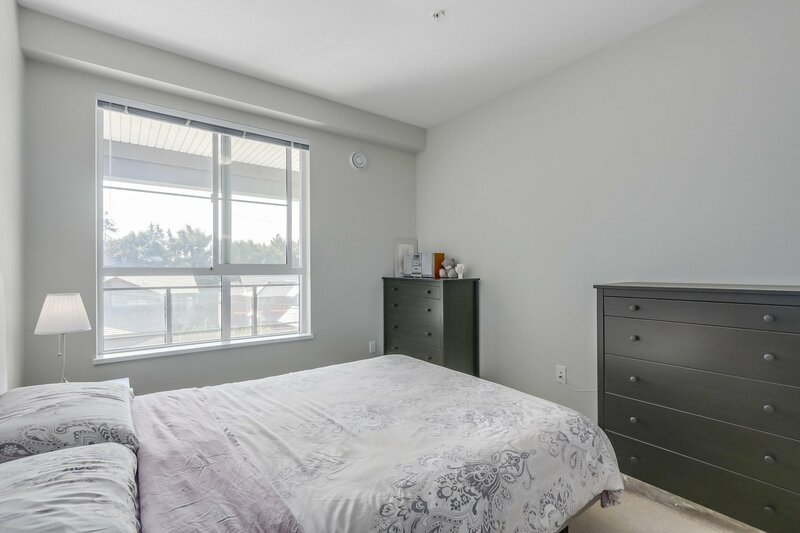 Rental allowed & pets friendly.